The Agreement – which runs until 2022 – represents the first formal partnership between the Players’ Association and BA in relation to the Chemist Warehouse Australian Opals and Boomers and provides best practice travel conditions, improved contract provisions and protections, comprehensive injury insurance, image licensing, funding for player wellbeing and development and a best-in-practice pregnancy and parental policy. National team players will also secure funding through a revenue share model from key games over the next four years, including next year’s showcase fixture between the Boomers and USA Basketball at Marvel Stadium. The CBA was announced by the Players’ Association CEO, Jacob Holmes, BA’s Interim CEO Paul Maley, Players’ Association Director, Boomer and Sydney Kings centre Andrew Bogut, and Chemist Warehouse Opal and Melbourne Boomer Jenna O’Hea on Wednesday. Holmes, the Players’ Association founder and CEO, welcomed the breakthrough agreement, which emerged from 18 months of negotiations and the establishment of a MOU in 2016 between national team players and BA. “This agreement represents a landmark outcome for Australia’s elite basketball players; it rewards our players for the role they play in growing the game of basketball in this country and ensures they are supported during a vital period for the sport in the next four years. Maley said Basketball Australia were enormously proud of the agreement. The agreement arrives at a time of great opportunity for the sport; the Chemist Warehouse Australia Opals secured a silver medal in the recent FIBA Women’s World Cup, while the Boomers head into an 18-month period which includes an exhibition match against USA Basketball and the FIBA Men’s World Cup in China. In 2020, the Boomers and Chemist Warehouse Australian Opals will look to peak at the Tokyo Olympics. Bogut welcomed the formal partnership between the players and the game. O’Hea, a central figure of the Opals team that secured a silver medal at the FIBA Women’s World Cup in Spain in September, said the agreement demonstrated the importance of equal conditions, while providing a launch pad for Tokyo 2020. The Players’ Association was formed in October 2016 by CEO Jacob Holmes from the foundations of the NBLPA and WNBLPA. Its objective is to grow the game and the players’ position as genuine partners in shaping the future of Australian Basketball. The Players’ Association Board is composed of prominent past players and industry experts in administration, marketing and finance, including Chairman Greg O’Neill, Deputy Chairman Mark Cowan, Directors Andrew Bogut, David Andersen, Laura Hodges, Bert Bargeus and CEO Jacob Holmes. 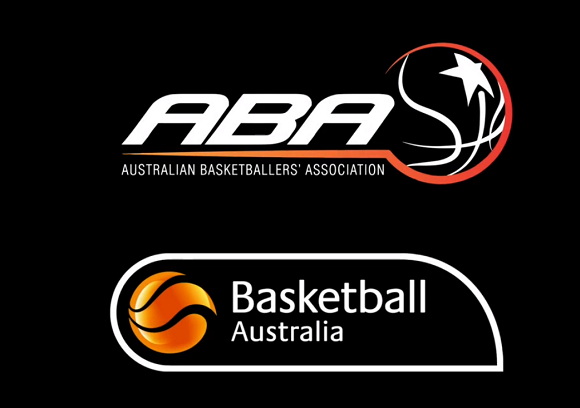 Since its establishment, the Players’ Association has been instrumental in securing minimum wages for basketballers playing in our National Leagues, negotiating improved conditions and support for our senior national teams through Collective Bargaining Agreement with Basketball Australia and the NBL and WNBL, and have established a Player Development and wellbeing program, including work experience, education and mental health support.